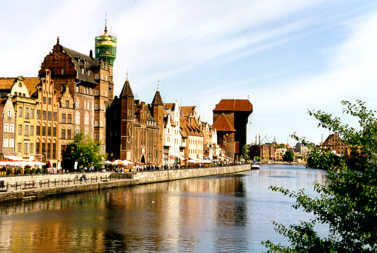 One of the cities you really should visit when traveling to Poland, is Gdansk. 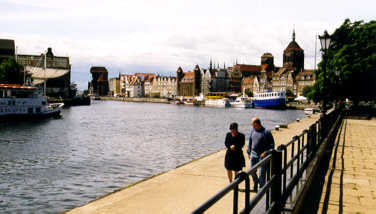 It is a Hanseatic city, with several beautiful streets. 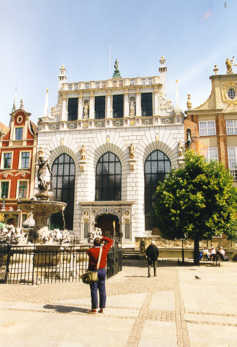 Of course, it was destroyed in WW II, but completely restored (as most of the Polish cities). One of the most famous faculties of the Polish University is the faculty of restoration. The broad steps in front of each house claim part of the street, pronouncing the house is more important than the street and the people walking there. Feast your eyes: houses, streets and every detail like it was hundreds of years ago. And when you want the modern times: there are lots of shops with amber and silver, and terraces to sit and watch other people. Finally, there is something strange about Gdansk. 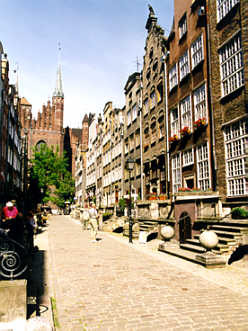 We think the old center is great place and, obviously, this opinion is shared by lots of tourists and also by inhabitants of Gdansk itself. However, there is something missing a real city center should have: shops where they sell other things than amber and silver. So, if you want to go shopping in Gdansk, you should find yourself one of the large shopping malls outside the city center.